State of the art fast & free wifi. 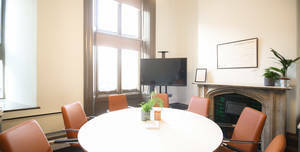 Projector is available upon request. Parking is available on the streets around the venue. Bristol Temple Meads train station is a 10 minute walk away. We can order delicious food and drinks to suit you from our catering partner. Just ask! 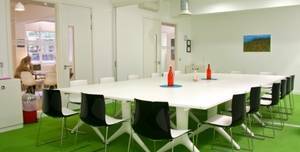 Help yourself to the comfy chairs and meeting tables in our nearby breakout area. 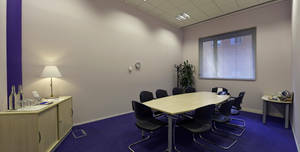 Book more rooms if you need additional private spaces. St Nicholas House is in the vibrant, historic business district. Next to the river Avon, surrounded by independent shops and the bustling St. Nicholas Market, which offers food from every corner of the world. Visit Pieminister Pies down by the docks for pizza, pie and a tray of ciders to taste. And, talking of cider, head to the cider boats along the river for Bristol's home-brewed famous beverages, with 40 different types to chose from. A short walk from Bristol Temple Meads station, and Cabot circus. 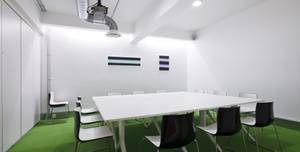 This space is great for team catch-ups and planning. St Nicholas House is in the vibrant, historic business district. 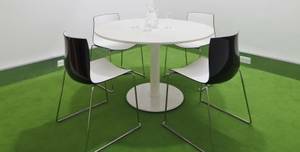 Great for team catch-ups and planning. 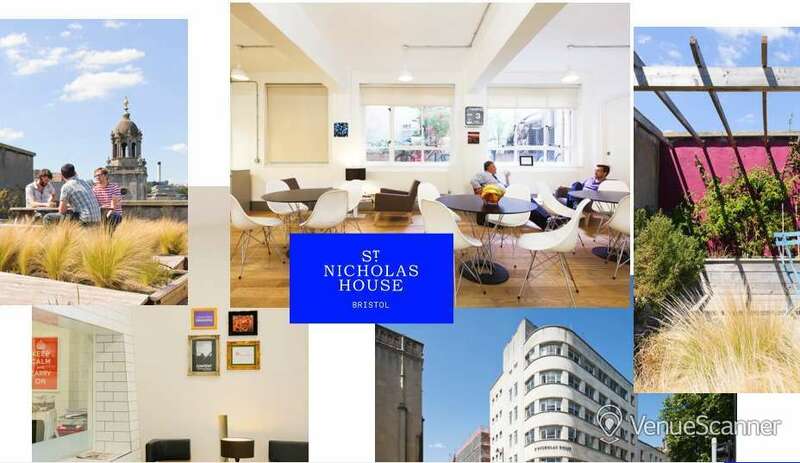 St Nicholas House is in the vibrant, historic business district. 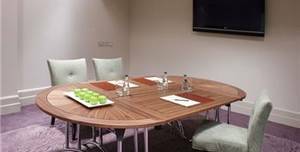 Elizabeth Blackwell is a small room perfect for meetings for up to 20 guests.. Sitting on the banks of the Bristol Harbourside, The Bristol is a hidden gem. 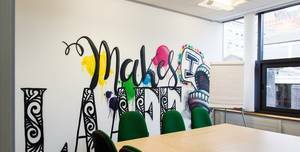 Makes I Laaff is perfect for meetings up to 7 guests.. 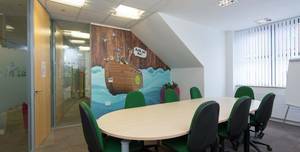 The Waterfront meeting, conference and training rooms can be found on Welsh Back, in Central Bristol, with stunning views overlooking the floating harbour. 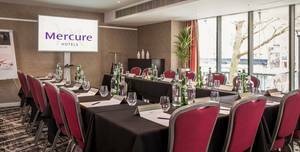 River Room 3 is perfect for meetings up to 10 guests.. Mercure Bristol Brigstow 4-star hotel is located in Bristol city centre. 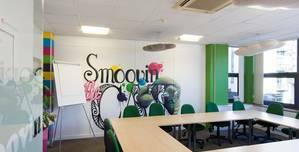 Smoovin The Cat is perfect for meetings up to 30 guests.. 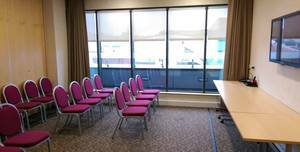 The Waterfront meeting, conference and training rooms can be found on Welsh Back, in Central Bristol, with stunning views overlooking the floating harbour. 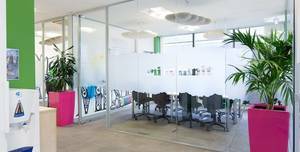 The space is 17 sqm and benefits from natural daylight.. 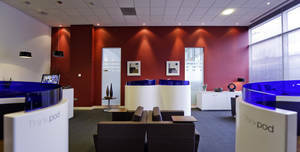 The Castlemead business centre is located in the tallest high-rise building in Bristol. 6.1	If you need to cancel the Booking made by you, the Cancellation Fees set out in this paragraph 6 shall apply. 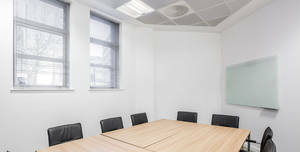 6.2	Cancellations can be made by contacting the front desk of the Premises where your Booking was made by telephone/in person or alternatively by telephone to the Meeting Room team. Any cancellation made will not be effective unless and until we confirm acceptance of that cancellation by sending you an email confirmation of the cancellation. 6.3	In the event that you cancel your Booking more than 10 Business Days or more prior to the date of a Booking, no Cancellation Fee shall be payable. 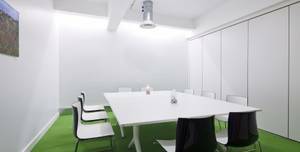 6.4	In the event that you cancel your Booking less than 10 Business Days prior to the date of a Booking, a Cancellation Fee equal to 100% of the Fee for that Booking shall be payable. 6.5	On a cancellation where no Cancellation Fee is payable, we will arrange the repayment of any Fees paid by you prior to the cancellation by our payment service provider within 15 Business Days of the date of the cancellation of the Booking. After 24 hours, refer to Lily's Cancellation Policy: 6.1	If you need to cancel the Booking made by you, the Cancellation Fees set out in this paragraph 6 shall apply. 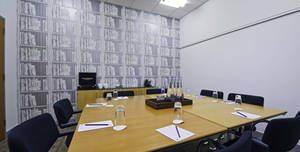 6.2	Cancellations can be made by contacting the front desk of the Premises where your Booking was made by telephone/in person or alternatively by telephone to the Meeting Room team. Any cancellation made will not be effective unless and until we confirm acceptance of that cancellation by sending you an email confirmation of the cancellation. 6.3	In the event that you cancel your Booking more than 10 Business Days or more prior to the date of a Booking, no Cancellation Fee shall be payable. 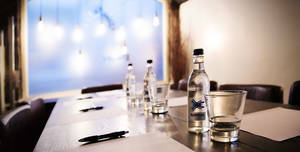 6.4	In the event that you cancel your Booking less than 10 Business Days prior to the date of a Booking, a Cancellation Fee equal to 100% of the Fee for that Booking shall be payable. 6.5	On a cancellation where no Cancellation Fee is payable, we will arrange the repayment of any Fees paid by you prior to the cancellation by our payment service provider within 15 Business Days of the date of the cancellation of the Booking.